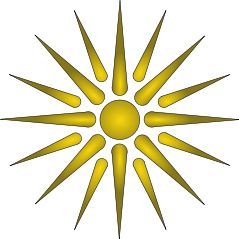 Most distressing for Greeks is that the leaders of FYROM insist that their country use the designation “Macedonia” in their country’s name without any qualification – in dramatic contrast to international practice and common sense. When parts of a historical region fall into two countries, the newer area uses an adjective to distinguish itself from the older one – New Mexico and Mexico are one such example. But the leaders of Skopje have so far rejected all possible designations to do that proposed by current UN mediator, Matthew Nimetz.